Brayer Kitchens are designed and made at our studio & workshop in Surbiton and installed in homes across North Surrey region, including Cobham. We’ve been designing and creating beautiful bespoke furniture since 1918 – and yet we’re not your traditional kitchen company. Firstly, we don’t have a conventional showroom. When you visit us in our design studio (pictured left), we’ll be able to show you some examples of the quality of our designs on show but as our range of bespoke work is so vast, we prefer to sit down with you and discuss what sort of thing you’re looking for and offer our expertise by showing you samples and examples from our portfolio of real working kitchens to help you in your quest for the perfect space. Another thing you’ll find when you take the 12 minute drive from Cobham to visit us, is that our workshop – where our bespoke kitchens are built from scratch – sits underneath our design office. 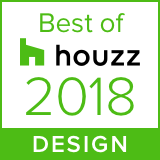 For the designers, the ability to pop downstairs to discuss a project with the people who are responsible for the build of your bespoke kitchen undoubtedly helps us provide the sort of efficient and quality service we’re known for – as our many 5 star reviews on Houzz can attest to. If you are interested in creating a kitchen that functions perfectly and looks incredible, please contact us to make an appointment at our design studio. During this free consultation, we’ll talk through your current space and find out what’s at the top of your kitchen wish list and help you to decide on a style and materials that best suit your everyday.